Beaumont Traditional Sequential Concealed Thermostatic Valve with Slider Rail. These shower packs incorporate traditional shower valves with co-ordinating slide rails or fixed head kits. 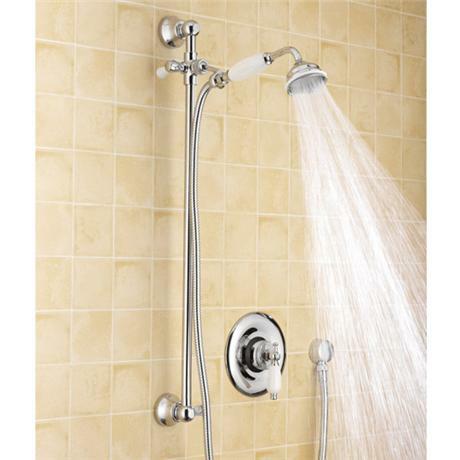 The complete shower package for any period style bathroom. Delighted with quality and your customer service.